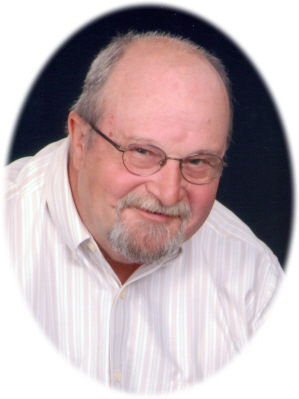 David Lynn Miller, age 72 of Fowler, MI, passed away Tuesday, March 26, 2019 at Sparrow Hospital, Lansing, MI. A Mass of Christian Burial will be held at Most Holy Trinity Catholic Church, Fowler, MI on Monday, April 1, 2019 at 10:30 A.M., with Rev. Fr. Dennis Howard officiating. Burial will take place at Most Holy Trinity Cemetery, Fowler, MI. Visitation will be held on Saturday, March 30, 2019 from 6-8 P.M. and Sunday, March 31, 2019 from 2-8 P.M. with family present from 2-4 & 6-8 P.M. at Smith Family Funeral Homes - Goerge Chapel, Fowler, MI. A Rosary will be prayed at 7:00 P.M. on Sunday at the funeral home. David was born in St. Johns, MI on April 20, 1946 the son of Gordon and Betty (Selleck) Miller. David married Ardith Schomisch June 17, 1967 at Most Holy Trinity Catholic Church in Fowler. David resided most of his life in Fowler and was a member Most Holy Trinity Catholic Church. David worked for Wohlert Corp. for many years and retired from Twin City Foods. At one point all four of his boys worked with him at Wohlert Corp. He loved taking photographs and coloring. David was an avid bird lover with lots of bird feeders over the years. He loved supporting his grandchildren, especially at their sporting events. He also was an avid reader and enjoyed history books. David loved working in the yard and in the flower gardens. Years ago he was a volunteer fireman for Dallas Township and he loved coaching youth soccer when they lived in Virginia. He is survived by his wife Ardith Miller of Fowler, MI; son David and Bobbie Miller Jr. of Lebanon, IN; son Jeff Miller of Muir, MI; son Brian and Elizabeth Miller of Fowler, MI; son Scott and Amie Miller of Portland, MI; daughter Jennifer and Scott Katich of Fowler, MI; 16 grandchildren; 6 great-grandchildren; 2 brothers: Ronald and Sharon Miller of Fowler, MI; Steve and Roberta Miller of Fowler, MI; and many nieces and nephews. His many grand dogs and cats held a special place in his heart. David was preceded in death by his parents and his in-laws Ronald and Margaret Schomisch and 2 sisters-in-law: Bette Dault and Billie Lou Schomisch. Memorials may be made to the VFW Post #3733 Ladies Auxiliary in Fowler. Online condolences can be sent to www.smithfamilyfuneralhomes.com. The family is being served by Smith Family Funeral Homes - Goerge Chapel, Fowler, MI.